Are your little ones obsessed with American Ninja Warrior? Are they constantly jumping and flipping over your furniture? Lil Ninjas will be introduced to basic Ninja Warrior Parkour skills. This class is designed to progress skills by incorporating strength and flexibility exercises into their tumbling, jumping, swinging, and balancing drills. 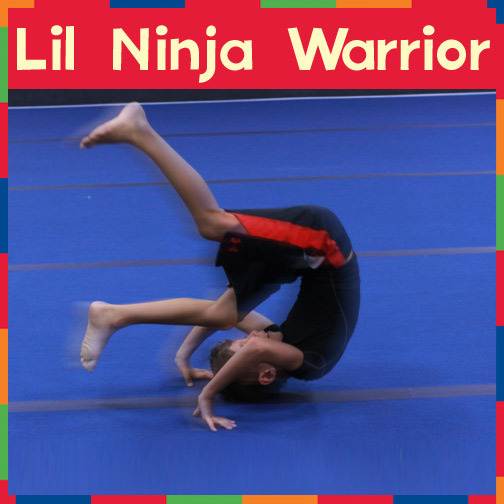 Small obstacles courses will be utilized to have your little flippers learn safe ways to incorporate Ninja skills into their everyday life.